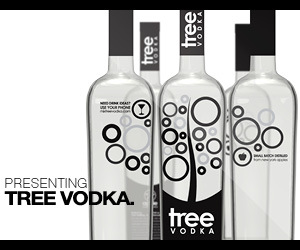 Notes: If sincerity and inventiveness means something to you, that alone would qualify this vodka as a worthy product. After having a look at all the ready made stills and equipment out there (and the prices) the team at Cooper Chase (all two of them) decided to build their own from scratch. 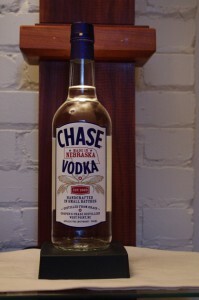 The results are nothing short of impressive especially for a vodka is microdistilled in small batches from a locally sourced wheat, corn, rye and barley in Nebraska, using deep well water from the Ogallala Aquifer and selling for about $15.00. 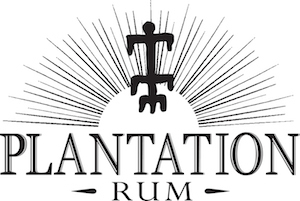 These guys do it all from mashing and fermenting ,distilling to bottling, and hauling to market. Being a multiple grain vodka, it has the possibilities of combining the good characteristics of the different flavor profiles and aspiring to be more than the sum of its parts. First Impression: Clean alcohol notes, traces of mineral, citrus, floral, it also picks up apple notes after extended aeration. Taste: Malty, almost chewy character to it (it is not some cheap, thin, spirit) with a nice mineral backbone and some spicy rye and barley. Slightly sweet start to it then a nice vanilla and slightly spicy cinnamon as it starts to dry and linger. Unlike a lot of vodka these days you don’t get that carbon filter(ed) taste just a straight up clean vodka done right taste. Personally I think a carbon filter takes out too much taste and character along with any impurities, and these guys thankfully can distill well enough not to resort to using them. Drinks: Actually, I like to drink it at room temperature neat. But I do like to actually linger over a vodka and tease out the flavors – chilling a good vodka just dumbs it down – chilling a bad one masks it’s faults so you can choke it down.Lends a nice weightiness and presence to a drink rather than just providing a source of alcohol, with the malt grains taste and texture adding substance and a nice citrus,sweet/sour, and vanilla to the mix. Bottle: Clear glass with rounded shoulder and NO frosting unlike the sea of other vodkas. Simple and straight-to-the-point graphics and information printed on a paper label. Final Thoughts: This vodka could hold it’s own in the premium luxury category with it’s micro distilled (in a hand made still) ,locavore and overall quality credentials. Absolutely makes Avian Fashion Victim vodka seem like windshield washer fluid and you can buy two, almost three bottles of Chase for the cost of one bottle of the Avian Fashion Victim vodka. Not to mention it blows away McCormick’s 360 – their attempt at a natural artisan project at twice the money. Locally sourced ingredients, environmentally friendly, but not priced that way (the price putting it in the more in the value brands). Fast loading, amusing intro with a fair amount of information. Easy-to-read,good content not some over blown graphics heavy website.